News is hitting the comics web of the passing of a giant in the industry. Known mainly as an inker at DC Comics, Giordano had tenures at several other companies. You can read a biography of him here. He will be missed. Doug: If you're like us, part of the charm of Marvel Comics in the Bronze Age was the wonderful corner box that adorned all of their titles. When I first started getting/buying my own comics (which would be closer to the end of 1973/beginning of 1974) I used to make my own comic books. 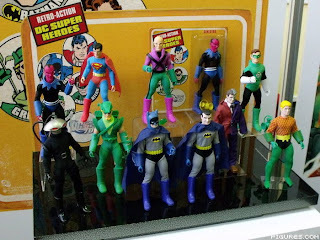 As part of those books, I'd often glue in the corner boxes I'd snipped from my comics. It didn't take long until some friends of mine, who had older brothers, recommended that I desist in that habit. I had been educated! A fun pasttime with any sort of stock art is to try to determine who the artist was. If you know, or have some solid guesses, why not post them in a comment below? In our first row, you'll see cover art from Tomb of Dracula, Mighty Thor, Uncanny X-Men (during the reprint era), and Werewolf By Night. 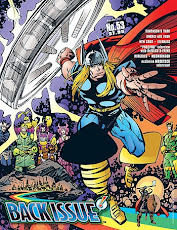 I've always liked the regality of this Thor image. This row contains corner boxes from Claws of the Cat, Namor the Sub-Mariner, Amazing Spider-Man, Shanna the She-Devil, and Power of Warlock. You'll see the same Warlock picture below. Who can forget (or more likely, can anyone remember??) 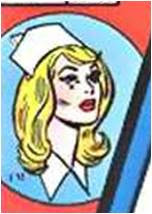 Night Nurse? Also, you'll find Marvel Team-Up, Marvel Triple Action, and Marvel Spotlight featuring Ghost Rider! 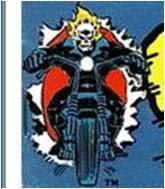 That Ghost Rider image is pretty cool, as he bursts right out of the magazine and into your lap! Up next are two images from Marvel's Greatest Comics, Marvel Premiere featuring Adam Warlock, Marvel Premiere featuring Dr. Strange, and Luke Cage, Hero for Hire. 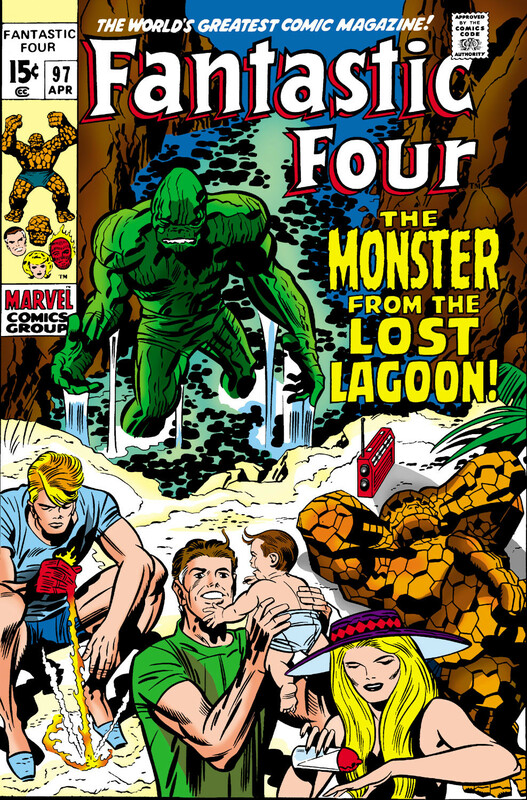 The Torch and the Thing are obviously rendered by Jack Kirby. Of course here we find some heavy hitters: The Incredible Hulk, the Invincible Iron Man, the Fantastic Four, Doc Savage, Man of Bronze, and the Defenders. 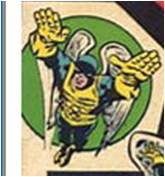 I never liked that Iron Man pose (there's a similar Doc Doom pose -- it was on the cover of Marvel Team-Up #43). The Thing and the Hulk look like are about to square off! In this row you see art from Daredevil (with the Black Widow, looking quite curvaceous! 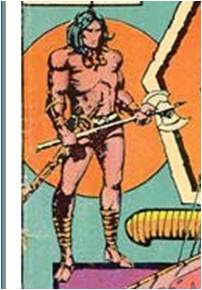 ), Conan during the Barry Smith era, and Captain Marvel. Here are Captain America and the Falcon (pre-wings! ), the Avengers, Astonishing Tales featuring Ka-Zar and Zabu, and Amazing Adventures starring Black Bolt and the Inhumans. Four of these dudes are pretty stoic, and isn't it interesting that the Vision and Black Bolt strike virtually the same pose? And last but certainly not least, we have the Beast (in his very early gray fur), also from Amazing Adventures! 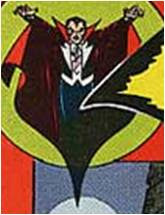 I didn't get any artwork from the corner boxes of Marvel's westerns. If we do this again, perhaps fast-forwarding a few years, we'll check out some of those. BAB Two-In-One: Dystopian Demolishers and Mighty Marvel Westerns! Karen: Continuing along with our stroll down Deathlok-memory lane, we're up to issue 32 of Astonishing Tales. Last time we were lucky enough to have Klaus Janson doing the inking; this time, the entire art job is credited to "Rich, Keith, Bob McLeod, and the whole blamed bullpen" -and it shows! A very uneven looking book to say the least. Bill Mantlo picks up the scripting chores and does a good enough job. Deathlok is in pursuit of a courier who may hold the key to finding a surgeon who can restore the cyborg to normal -at least, that's what Deathlok is hoping for. Hope is about all he has left at this point, and his desperation causes him to take a number of risks, most of which his computer mind protests against. Karen: As for the rest of our cast, Mike Travers breaks back into Ryker's facility -housed in the Pan Am building (if you're under forty, you may not have any idea what that means). Travers works his way through assorted guards and thugs to get to poor Nina, whose brain is still hard-wired to Ryker's computers. That whacky Ryker is still using his network of big brother cameras to follow Deathlok's movements, but loses contact when the cyborg enters the subway system. It appears that Ryker is going to have some sort of surgery, and really isn't focusing that much on his erstwhile creation. Karen: Deathlok uses his infra-red vision, which he hadn't even realized he had, to track the courier across New York City. He fights off the usual cannibals only to run into lobotomized cyber-thugs, who have unfortunately found the courier first. Although Deathlok wipes out the attackers, the courier dies, before Deathlok can learn about the surgeon from him. Frustrated, he takes the man's briefcase, which at least is filled with money. But to just add to his misery, the computer in his head informs him that it is counterfeit. The guy just can't catch a break! Doug: If'n yuh thought I wuz gonna sooner or latuh give ya a little lead from the Bronze Age, then yer durn tootin' right cuz today's tale comes from April 1973 -- and was made by Larry Lieber (words and pencils) and George Roussos. We're lookin' at Rawhide Kid #110, "The Sightless Gun!" OK, enough cowboy dialect! 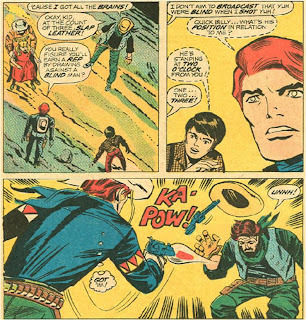 I was never a Western fan -- born too late to have gotten in on the Davy Crockett craze and never warmed to the genre in the Marvel Age of Comics. However, just to broaden my horizons, I came across this magazine and thought it might be fun to stretch myself a bit for one of our Two-In-Ones. So here goes! Larry Lieber crafts a fun little 14-page story that although new (at the time), could easily have been written in the 1950's. 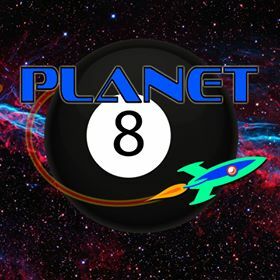 It's a simple tale that involved the Kid, some bandits, and a couple of tweens. I could see how appealing this might have been to the Mickey Mouse Club crowd; I wonder, however, how this magazine was selling as the Bronze Age and all of its innovations were underway... Rawhide comes across a payroll robbery, and as he's about to intervene the bandits shoot the carrier. Riding down to check on the man as the robbers hightail it away, the Kid decides that he'd best get the man medical attention before pursuing the bad guys. I thought it was a little strange that the Kid went back into town alone to fetch the doctor, rather than taking the injured man with him. At any rate, the Kid brings the doctor back to the site of the robbery, and is assured that the injuries will be dealt with abruptly. Now free to pursue the bandits, the Kid picks up their trail. Along the way, he comes upon a cabin inhabited by a couple of kids whose parents had been "killed by renegade injuns". Ah, yes -- Bronze Age political incorrectness! The young man is in awe of the Kid, and asks him to show him his draw. 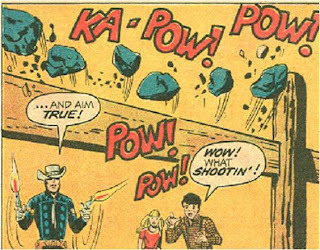 The Kid obliges, shooting some rocks off a fence, but telling young Billy that his brains are as important as his gun. The Kid takes his leave, and tracks the outlaws to a cave. Once in the cave, the Kid finds the stash of loot. 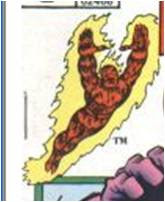 However, he trips a wire that fires a pistol, grazing himself on the side of the head. 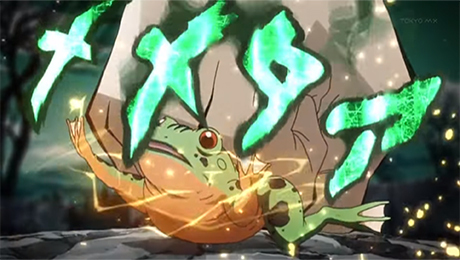 As the Kid rises, he discovers that he's lost his sight! Staggering about the cave, he loses his balance and falls over a ledge. As fate would have it, young Billy and his sister Bess have decided to follow so they can watch Rawhide round up the bandits. They find the Kid's horse, Nightwind, and enter the cave. Soon they find Rawhide and assist him out of the hole. They hear voices, and decide to attempt to evade the robbers. As Billy and Rawhide leap a narrow chasm, Bess freezes in fear; she's shortly grabbed by the bad guys and used as a hostage -- the Kid must come outside the cave to duel in order to get her back. 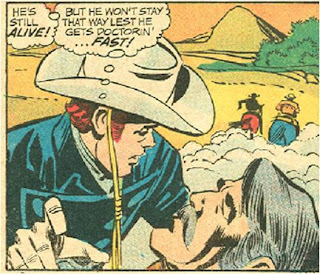 Knowing he can't win without his eyes, Rawhide asks Billy if he can tell time (see, this would have been great in the '50's -- no digital clocks!). Billy assures him that he can, and they craft a plan. Upon emerging from the cave, the Kid asks Billy to tell him where the gunman is -- at 2:00, Kid! Bang -- Rawhide fills him full of lead! And, while diving to evade the gunfire from the other robber, the Kid hits his head on a rock, miraculously restoring his sight! Bang, bang -- fills the other guy full of lead! And even though the hero didn't get the girl, 'cause that would be nasty since she's like 12 years old, all is restored to order in the Wild West! Doug: I'm not at all excited about the pre-release publicity for the Avengers re-launch from Marvel Comics. A longtime fan, I got out of the title altogether after issue #25 of New Avengers. 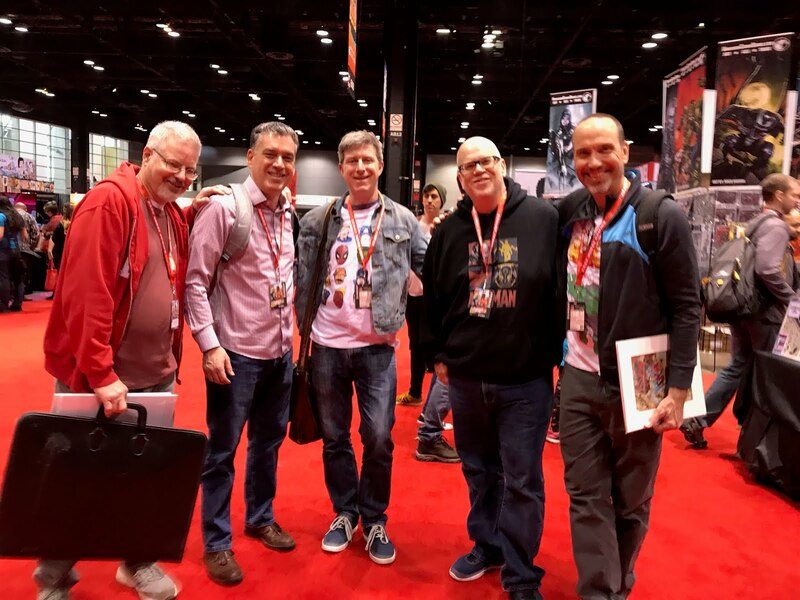 I figured I'd given Brian Michael Bendis 2+ years to effectively ruin my favorite title/characters -- enough was enough and I wasn't going to give them one more dime (let alone the ridiculous price that new comics are selling for these days). I never bought an issue of Mighty Avengers, nor of Avengers: Initiative. This whole campaign smacks of the worst marketing ploys of the 1990's: incessant #1's, top characters glutting the market (hey, how many books can Wolverine and Spider-Man appear in each month?? ), and who knows? 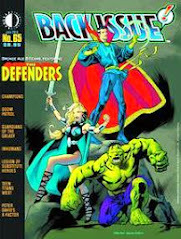 -- Could foil covers be far behind? I'll stick to reading old Silver and Bronze Age material. 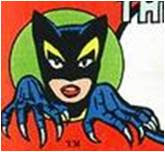 Karen: I was pretty excited when I saw the cover to Adventure Comics #8 featuring the Legion of Super-Heroes. It seemed like the Legion was finally back, and I was looking forward to diving in to a new tale of the team. Unfortunately this book is just one big tease. We never get a complete story, but 4 beginnings of stories, 3 of which are apparently going to be resolved in another title, Superman: Last Stand on New Krypton. Geez DC, you finally got me interested in one of your books again, only to tick me off by using it as a scheme to push another title on me. This was just lousy, and my enthusiasm for picking up anything with the Legion now is quite low. 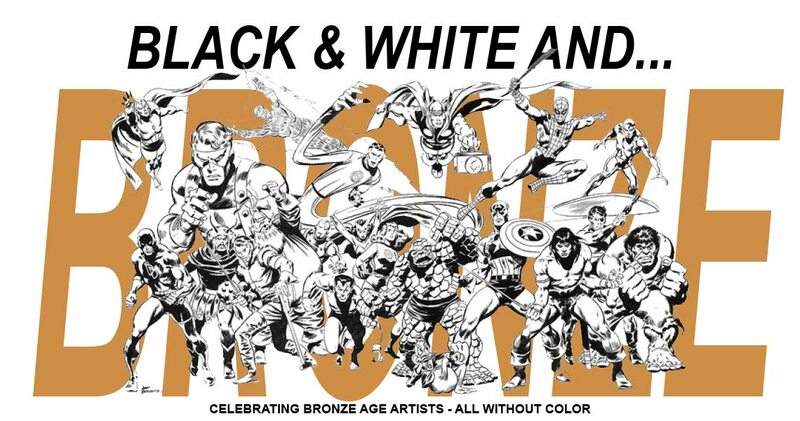 Doug: If you've never given some of the Bronze Age black & white magazines a look, you should. Rampaging Hulk, Savage Sword of Conan, Planet of the Apes -- great stuff! Many of the writers and artists you love in the four-color world have some nice, nice work in these pages. If you're one who's a little put-off by the Essentials, don't be. The art in these books is usually much more detailed, largely because it was meant to be printed without color. The wash and zipatone techniques often add a lot of texture to the pencils. The Apes magazine picks up where Battle for the Planet of the Apes left off. Avengers 166 - Uru & Diamond! Avengers 164 - Count Me Deadly!